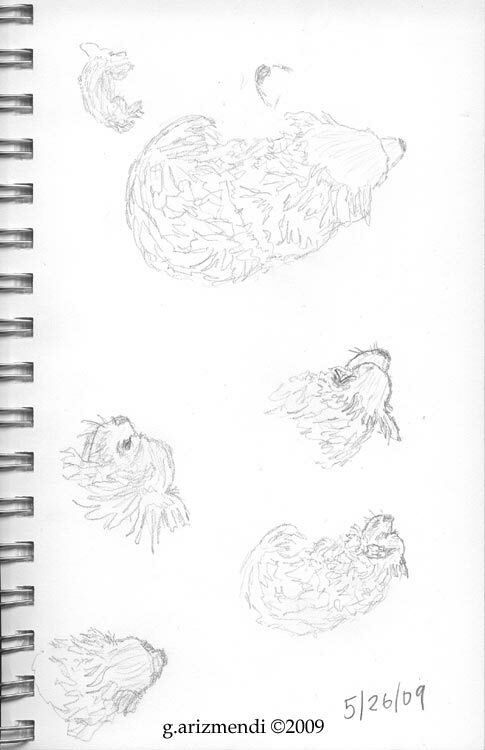 Here are some more sketches of our little dog, these were done while I was sitting on the floor and he was laying on top of my crossed legs, so here I am trying to sketch him and he is trying to go to sleep. I think these chihuhua sketches came out pretty good given the short time I spent on them. I am really liking that HB tombow mono 100 pencil, I think it has become my favorite pencil.